One of the biggest challenges of running a business, especially a local business, is generating sales leads. Proceed Innovative helps our clients generate sales leads for their businesses with automated sales lead distribution systems that are more cost efficient than pay per click advertising. 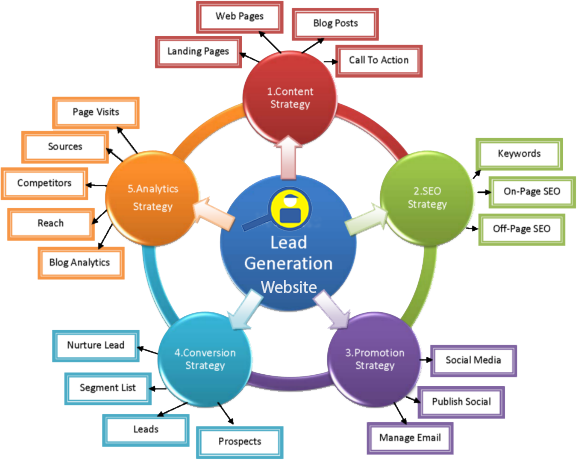 Lead generation is the practice of finding contacts that are likely to buy or convert by generating consumer interest in a company’s products or services. What are the benefits of sales lead generation services? The biggest problem that many businesses face is locating the right customer base that has the most interest in their products or services. Effective sales lead generation services will help put a pool of potential customers in contact with your business which will result in more sales or conversions. Traditionally, good signage, advertising, and phone book listings were sufficient for generating leads but these strategies are no longer effective in today’s digital market. The internet is the most effective medium for finding and targeting potential customers who are already interested in your products and services. It is important to have lead generation strategies in place online because many potential customers begin their research of products and services on the internet. If you can provide an excellent online experience for customers from the second they find your website, they are more likely to go from research to final purchase. Phone leads are also important as our lead generation strategies involve generating and tracking phone calls from our lead generation programs. Lead Generation: Our lead generation strategy includes a variety of methods from SEO and paid search to automated lead generation tools designed and built to attract more potential leads. We can create a custom lead generation strategy that best suits the needs of your company. Tracking: We track the results of the lead generation strategies in a couple different ways which can include web analytics and tracking of phone calls. The phone calls produced by our automated lead generation tools are tracked and recorded for the quality of the leads and to measure the overall success of the program. Reporting: We provide reports of the leads generated by our strategies so our clients can see the number of potential leads they are getting for their investment. Help and Support: Our professionals are available to answer any questions or concerns related to the lead generation strategies. 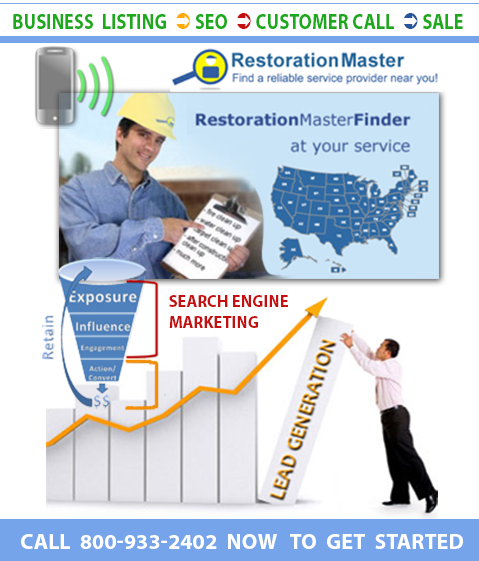 RestorationMasterFinder.com is powered by Optimized Search Engine Visibility on Google, Bing, Yahoo, Facebook, and over 100 other local, vertical, and social media web portals. This website was built with the flexibility to accommodate all future technology trends and upgrades so that it is always operating at its peak performance level. The high search engine visibility of RMF on the national and geo-specific level has been proven to generate the maximum number of quality leads. Make sure to register for RestorationMasterFinder.com now because we only register one ServiceMaster franchise per business zip code. Visit RestorationMasterFinder.com today to see if your territory is available.